Valentine's Day is fast approaching guys! And I couldn't be more excited about it. I absolutely love this holiday for a million reasons. I'm not sure if it's the inner child in me, reminiscing to the grade school years filled with candy, cards, secret admirers, and those amazing little mailboxes you got to decorate... But my 30 year old self is still obsessed with V Day! 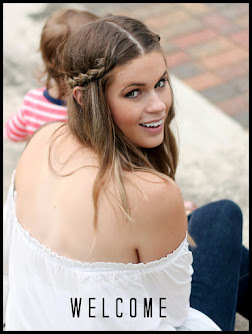 Today's post is about the husband, because I personally love thinking of new and creative ways to give gifts to Jamy. If you ask me, we ladies don't have it quite as easy in the gifting department as the men do. They always have Jewelry and perfume to fall back on. But how many times can you buy your husband a watch or a gadget that they will eventually barely use? So what I do to make his gifts a little more meaningful is try to accompany all of the things with gestures. Last year he woke up to 30 something reasons that I loved him written out on post it's, stuck to the bathroom mirror in the shape of a heart. The year before that, I completely emptied and reorganized his closet for him (he is a touch obsessed with order, so to him that was romantic). I feel like this helps to show the gifts are really coming from the heart and not just being purchased for the sake of the holiday. Now, I'm still trying to figure out what this year's sweet gesture will be. BUT, I already know what the accompanying gift is and I wanted to share it with y'all because I think it is a win/win no matter what kind of guy you're married too. PLUS, I have a coupon code for you to use. So why not share the goodness?! 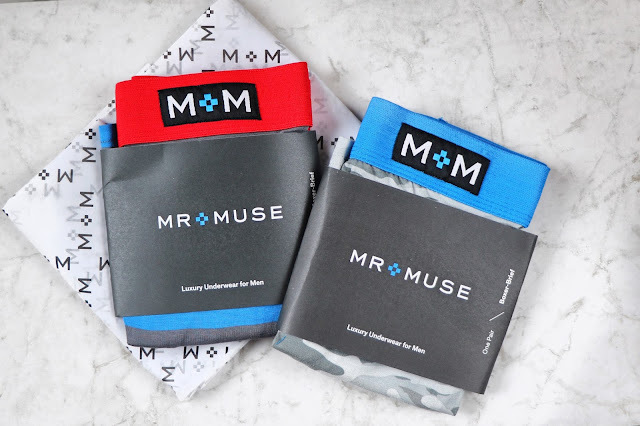 MR & MUSE is a U. S. made, men's underwear company that is focused on connecting with the woman, or rather the Muse, in every relationship. Why? Well, partially because most men don't pay much attention to the style of their underwear. (You know the faded, Christmas themed boxers from the early 2000's that are still in regular rotation). 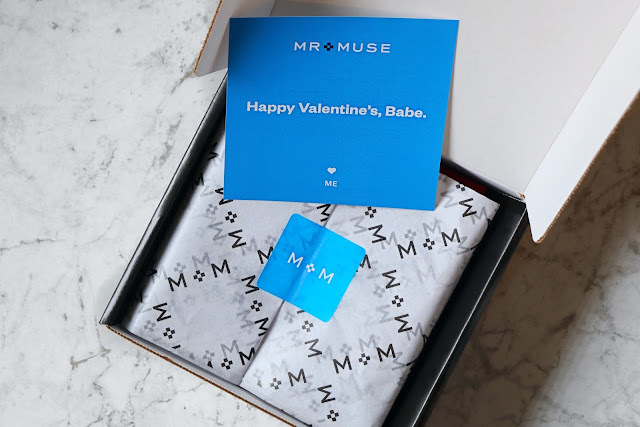 MR & MUSE puts you in control of their underwear game. The other reason they want our attention is to encourage closeness in our relationships through a fun gift giving experience that can be a conversation starter on those special date nights. Styles you won't mind seeing your Husband's Bum in. When you purchase the MR & MUSE Gift set, you simply pick the sizes and styles and they do all the work for you. 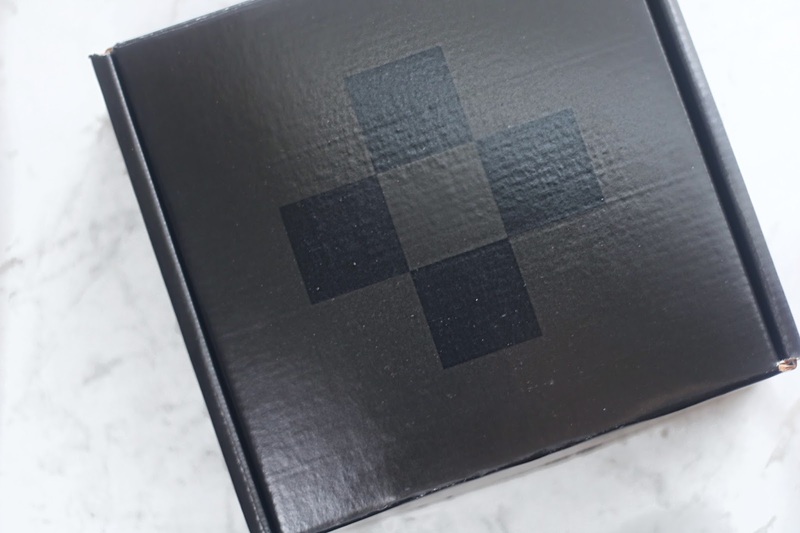 I'm talking stylish gift boxes and Personalized Cards. You literally sit back and wait for it to arrive at your door! And don't forget about that discount code I mentioned earlier!! When you use the code MUSE20 you receive 20% off your entire purchase!!! Now, I'm off to figure out what my gifting gesture will be for this year...? Any Ideas?! This is such a great idea! I think I know what I'm getting my man for valentines! Such a great idea for a guys Vday gift!! We don't typically do Vday gifts because I just never know what to get, but this would be fun, simple and totally useable! Yes! I think this is actually perfect for that! It's cute and simple. Nothing over the top. And practical! Those look like super comfy undies! Hahahaha! Yes, I think my husband has like fifty of them. Why?!?! i've never heard of this brand. They look really nice! That's a great Valentine's day gift! I never heard of this specific company, but I'm going to check them out now! They were new to me too! So I honestly wasn't sure what to expect when we received them. But, Jamy really loved them!